Mastering the perfect brow can seem like a hard task, but it doesn’t have to be. All you need are the set right of tools and a few expert tips and you’ll be shaping your arches to perfection in no time. And, lucky for you, this Benefit Brow Q&A has plenty of both! 1. Firstly, why do you think Benefit is the one-stop shop for brows? Benefit is the brow authority. They have been waxing and styling brows for over 40 years. If anyone knows brows it’s Benefit. 2. How do I choose which brow product is best for me? It really depends on your brow dilemma. A pencil, like Goof Proof is great for lengthening and filling in sparse areas, whereas a powder like the one in Brow Zings is great for a natural finish. 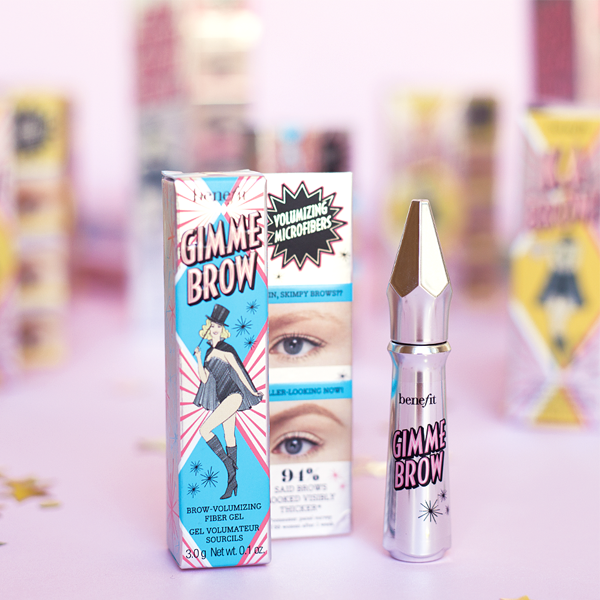 However, the one product that works a dream whatever the dilemma, is Gimme Brow; it mimics the appearance of real hair, adding volume to all brow shapes and you can use it alone or over the top of any other brow product. 3. What’s the secret to creating a perfect brow arch? Brow mapping is the sure fire way to getting the perfect brow. You’ll only need to do this once or twice before you get the hang of it. Use a makeup brush and hold it from the side of your nose straight up. Draw a mark with a brow pencil at the level of the brow. This is where your eyebrows should start. If they start in the right place your nose will look slimmer. Now hold from the corner of the nose and angle through the centre of the pupil. Mark here. Your brow should arch here for an instant eye life. To end the brow, hold the brush from the corner of the eye past the outside corner of the eye. Mark at brow level. Your brows should end here. This will lift the appearance of the cheekbones. Join the marks together and fill in the brows. Do the same on the other brow for even eyebrows. 4. How do you make your brows look good while you’re growing them out? Have them tinted for sure. This will make them look more groomed. Cover any stray hairs with Boi-ing concealer to hide them. 5. Have you got any tips for building a brow that’s very sparse? Map your brows and follow the brow bone. 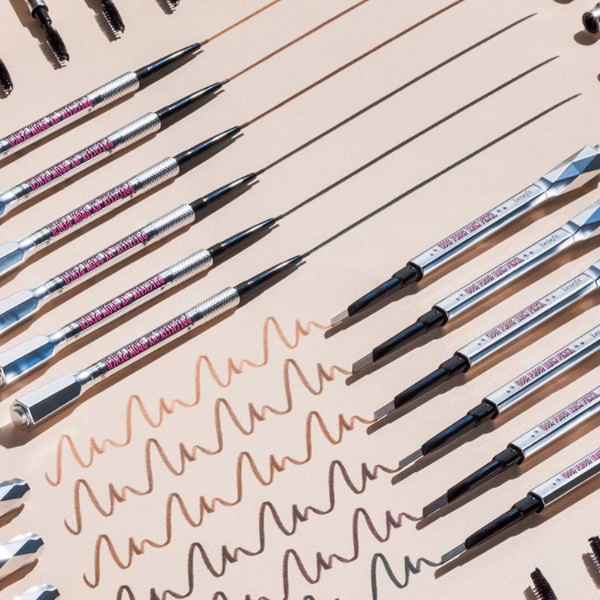 Use a product like Precisely My Brow Pencil as it has an ultra-fine tip, which creates believable hair-like strokes. 6. Do you have any definite don’ts when applying brows? Don’t square off the front, this can make your brow look stuck on. Keep the front soft and your brows will look wow at all times. 7. 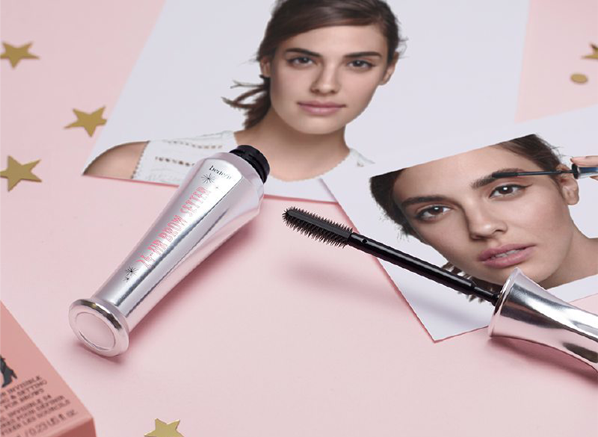 What makes Foolproof different to Benefit’s other brow products? The Benefit Foolproof Brow Powder is a 2 shade powder. A lighter shade for the front and a darker shade for the end. It’s the perfect combination of shades and gives you a beautiful natural brow. 8. Apart from filling in, are there other products you’d recommend as a part of a brow routine? 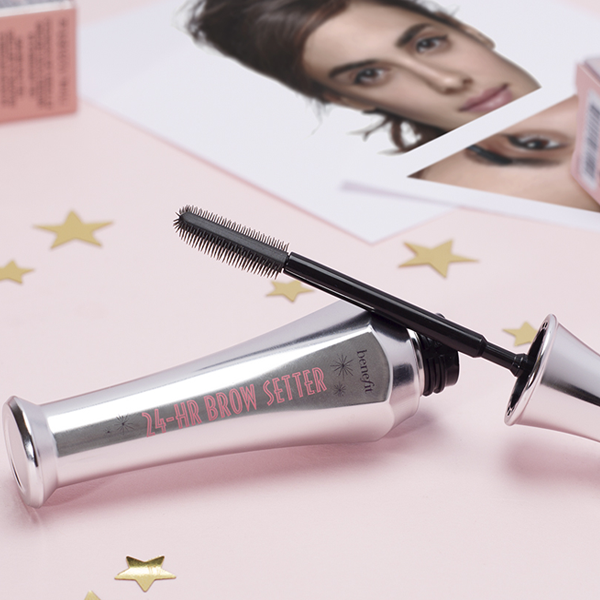 I love the Benefit 24-HR Brow Setter. I use it over all brow products to keep the hair in place, plus it’s so easy to apply! 9. What’s your best brow tip? Get your brows waxed and tinted at your local Benefit brow bar every 4-6 weeks. This will keep your brows looking beautiful. This entry was posted on Monday, September 25th, 2017 at 10:07 am and is filed under Make-up, Q&A. You can follow any responses to this entry through the RSS 2.0 feed. You can skip to the end and leave a response. Pinging is currently not allowed.